There are many occasions you might want a free video converter. You might want to convert a video recorded in an uncommon format for easy sharing with others. Or you might have several video clips in different formats and want to keep the video collection in the same format. What are the best free video converter in 2019? Here we collect the top 5 free video converter for Windows/Mac based on technicians’ rigorous testing and users’ reviews. Whenever you want to convert video to another format, you can rely on Gihosoft Free Video Converter. It is the best video converter software built specially for users to convert rare video formats to popular ones, like MP4, AVI, MKV, WMV, MOV & MTS etc. 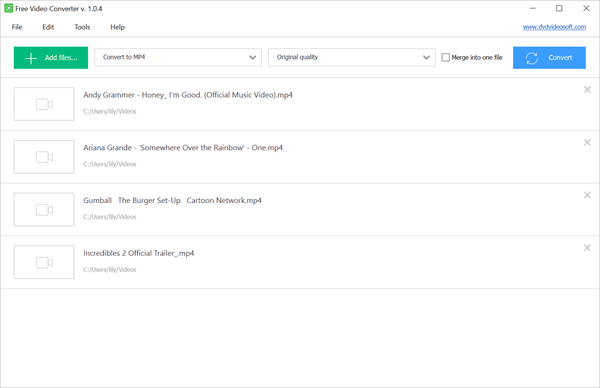 More than a video converter, you can also download videos from YouTube, Facebook, Vimeo, Dailymotion and convert them to any formats you want. Additionally, there is an inbuilt transferring feature, which gives users the permission to transfer converted videos from PC to Android/iOS devices. Freemake Video Converter is a very good choice if you are looking for the best free video converter for Windows. It’s capable of converting 200+ video formats, burning videos to a blank DVD, ripping videos from an unprotected DVD, and editing videos as well. The layout is quite straightforward and good-looking. All formats are listed in a row on the interface, everyone can operation it at the sight of it. Any Video Converter, or AVC for short, is another best free video converter software on the market that allows users to get their video format changed. Like the 2 video converter tools aforementioned, this app also supports convert rare video formats to all popular ones, including WMV, MP4, AVI, ASF, FLV, SWF & HTML5 OGG etc. The interface is simple and it packs many other excellent features, such as saving YouTube videos and playing local videos on PC. Free Video Converter is one of the top free video converters in the market, and its name explains everything about its features. It can help users to convert all the videos to their favorite formats with ease at a fast speed. However, the bad news is that the output videos come with an one-minute watermark. Although the watermark is not intrusive, you’d better consider another competitor’s software if you are not used to it. 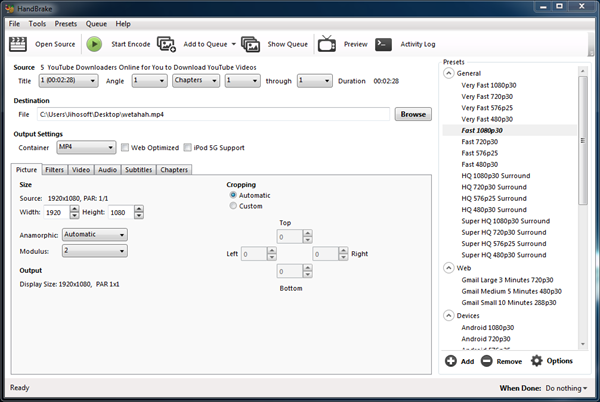 The last contender of the best free video converter which can’t be ignored is HandBrake. Despite a free and open-source tool, it can work perfectly as a video converter to AVI, MKV, iPhone, Android, TV & many more. 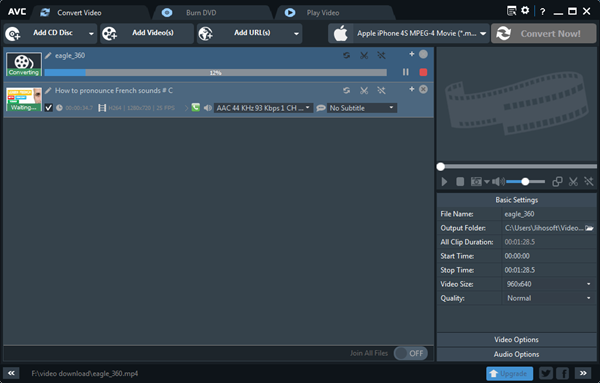 Besides, HandBrake’s interface is quite standard, both novices and experts can easily get accustomed to all of its operations. All of these 5 best free video converters are simple to use because of their self-explanatory operations. Here I will show you how to get your video formats changed with Gihosoft Free Video Converter. Step 3: Hit “Convert” button to get the video format changed. I’ve shown you 5 best video converter for Windows and Mac. Just try these apps and tell us about the pros and cons, and which is the best and user-friendly. As always, you can leave your opinions in the Disqus section below.